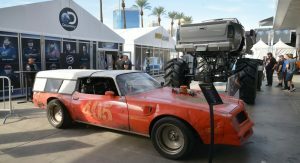 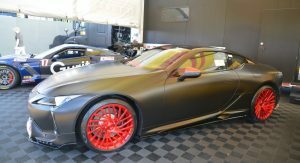 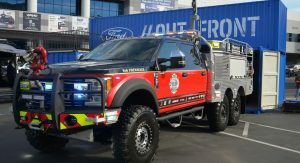 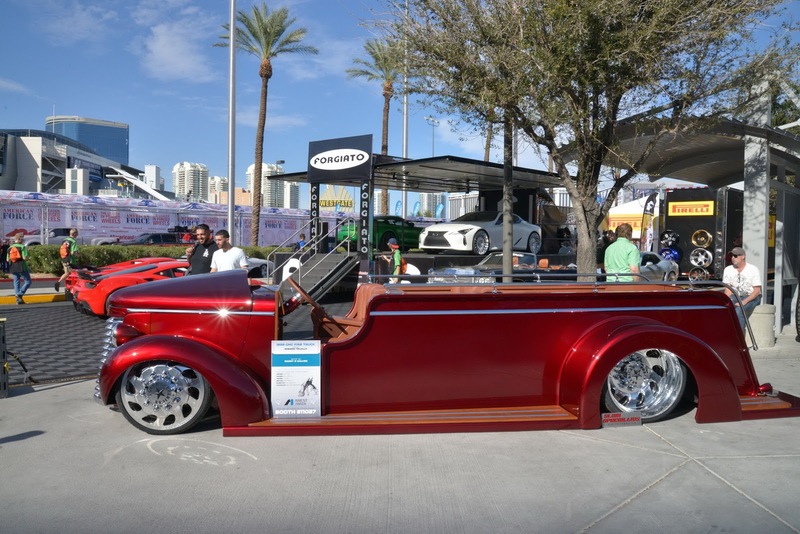 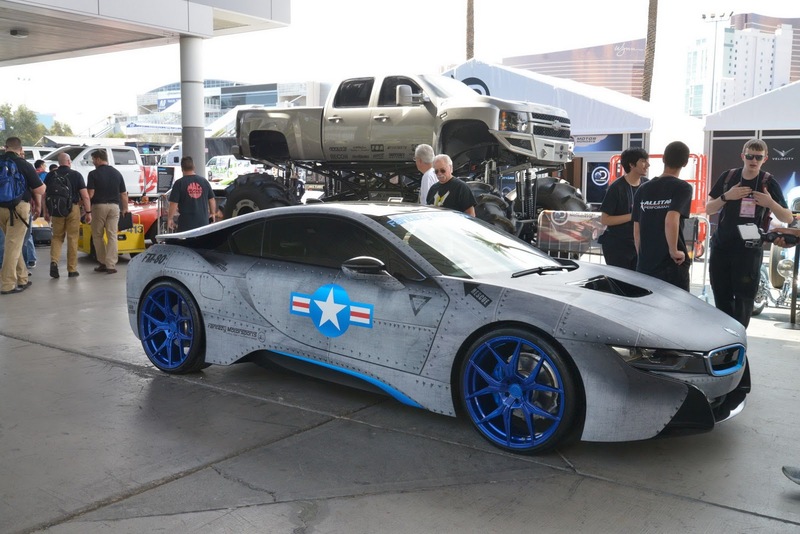 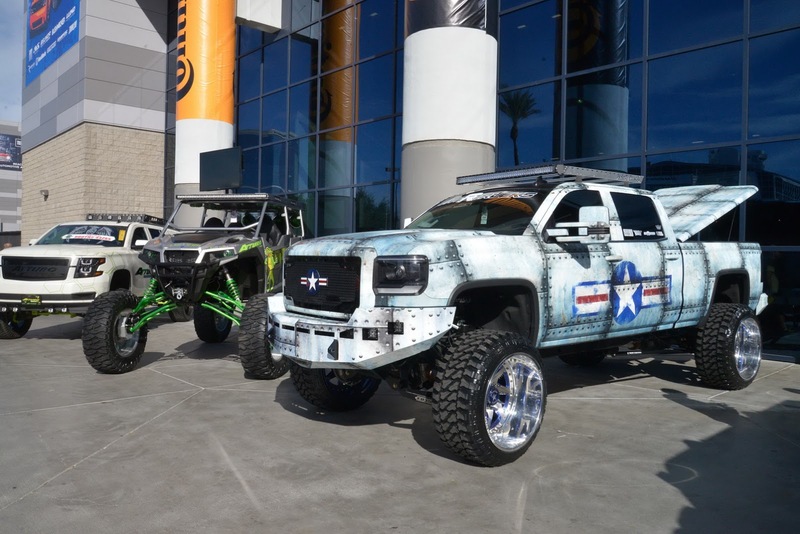 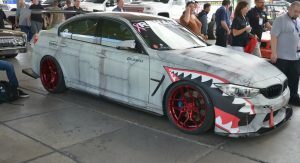 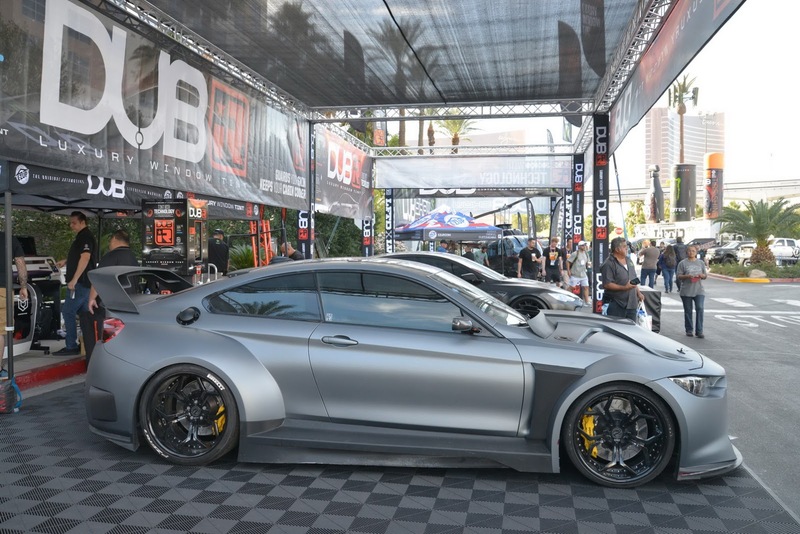 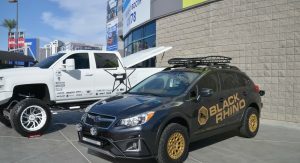 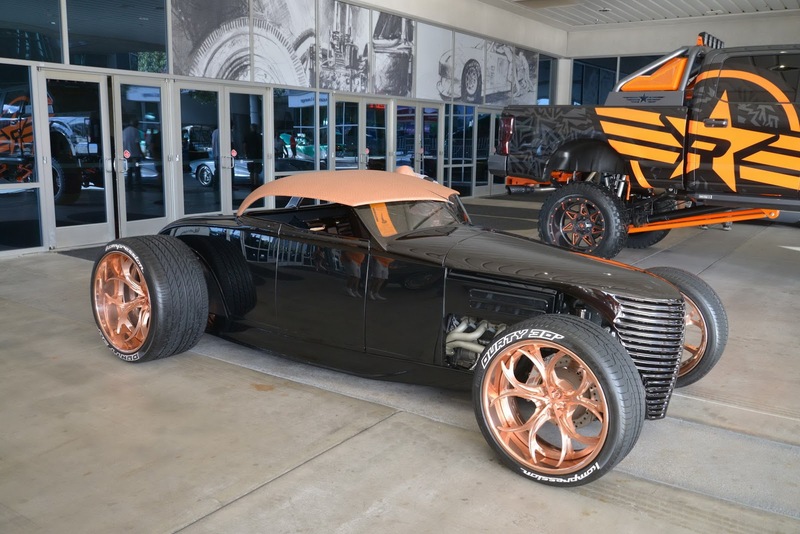 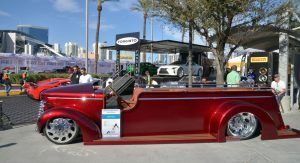 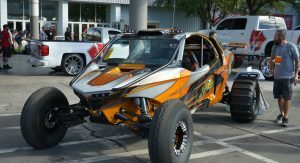 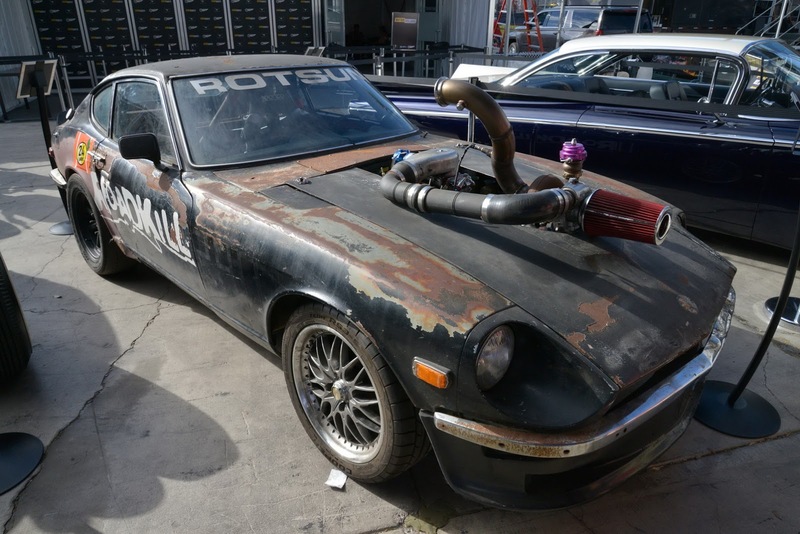 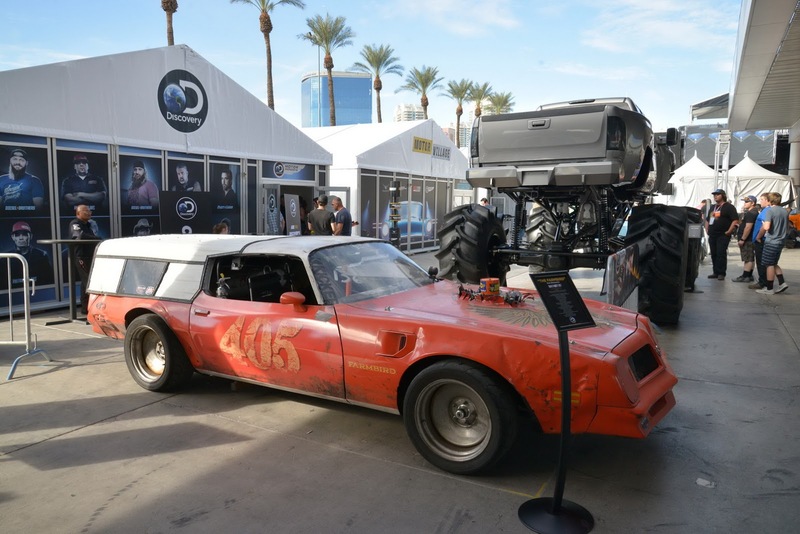 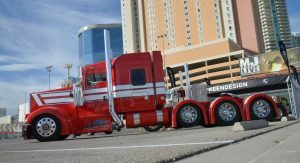 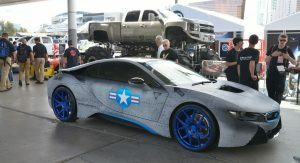 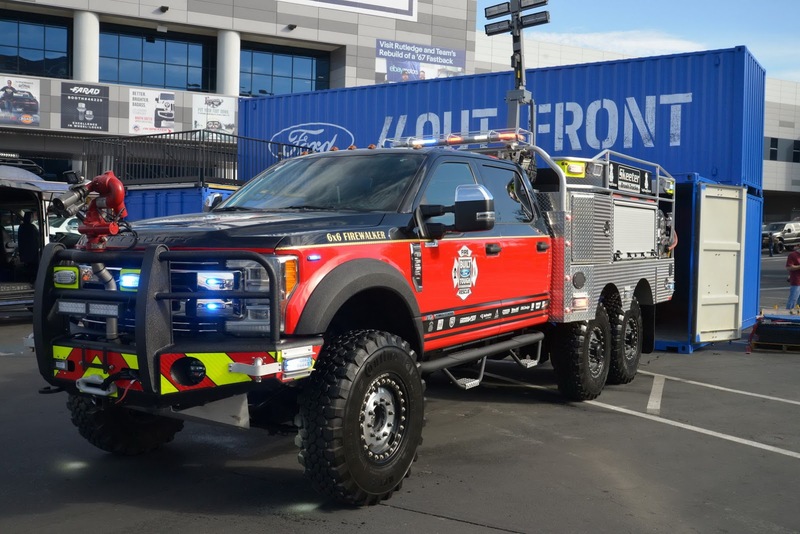 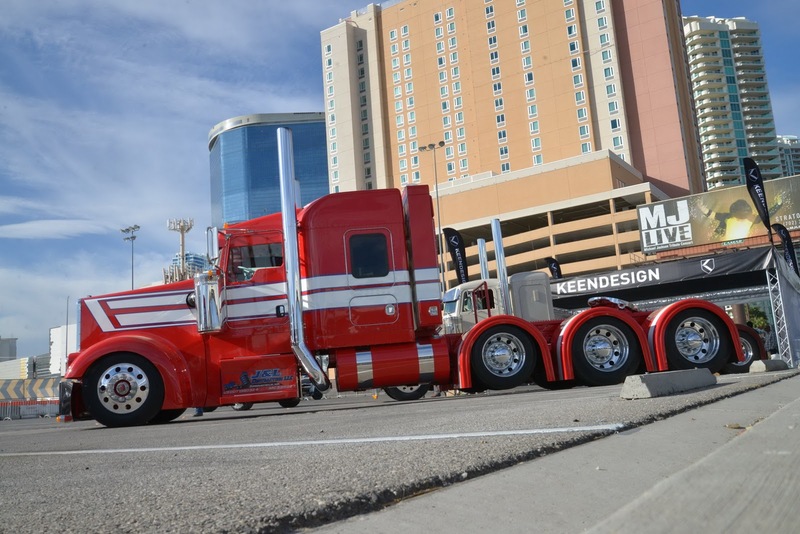 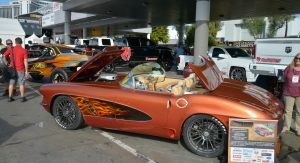 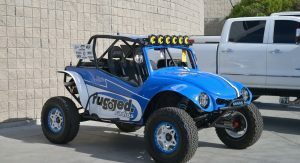 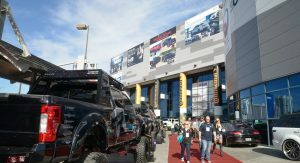 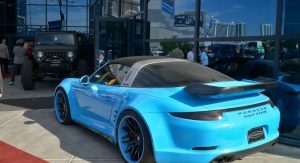 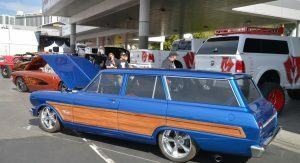 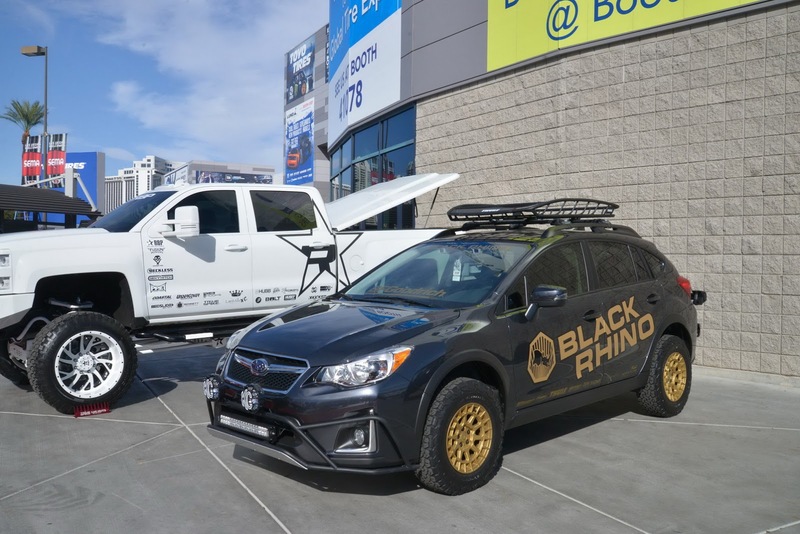 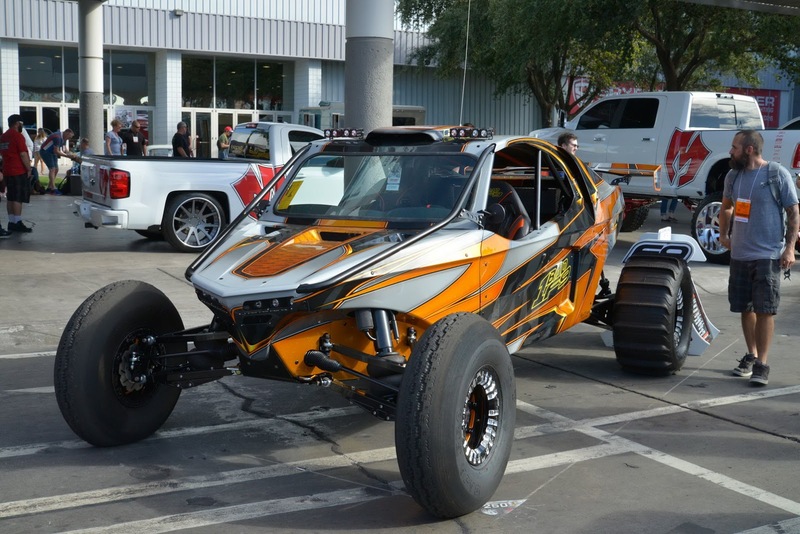 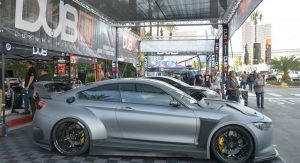 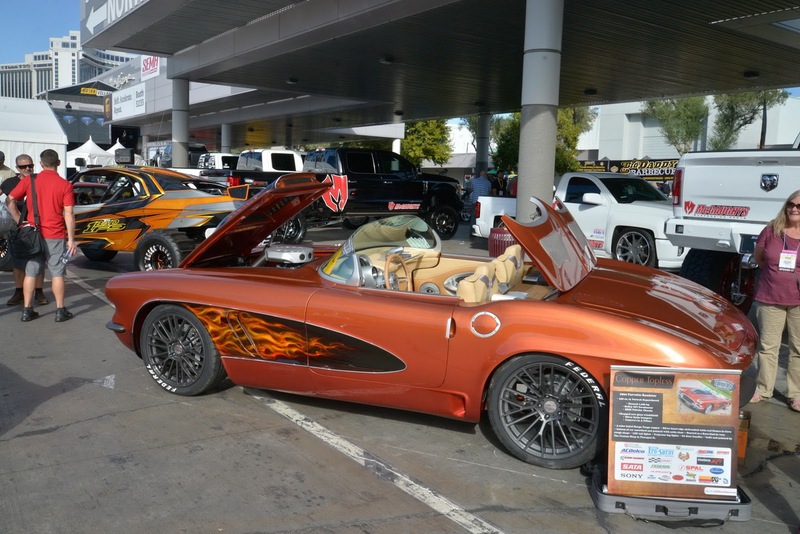 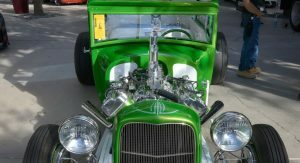 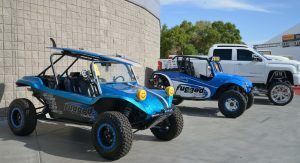 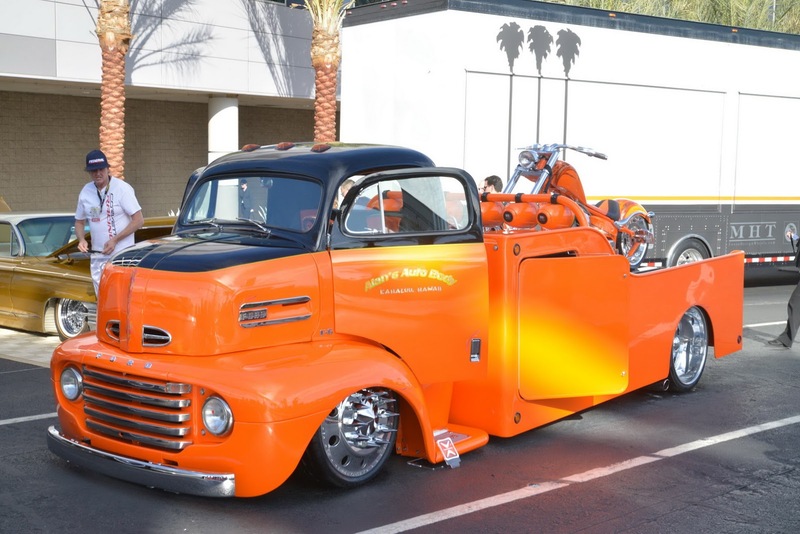 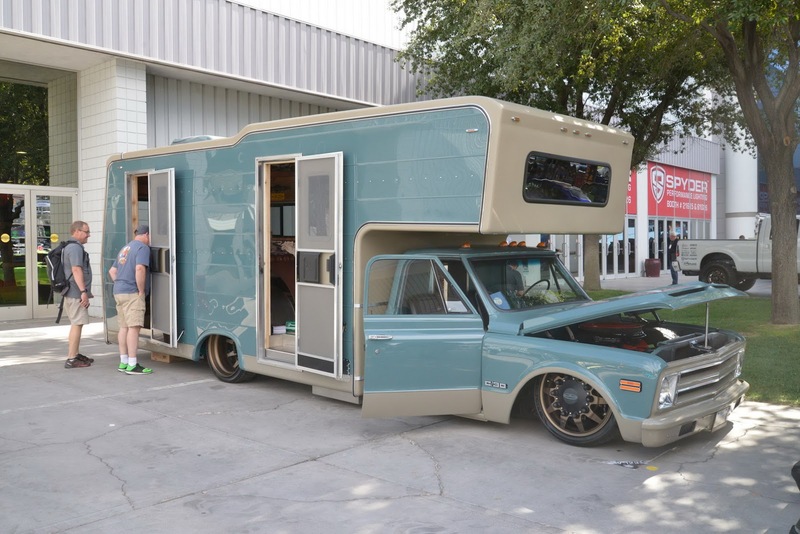 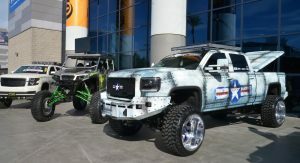 Before SEMA attendees in Las Vegas even get a chance to check out what’s inside, they’ll be bombarded with vehicles featuring wacky customizations, as well as special paint schemes and wraps. 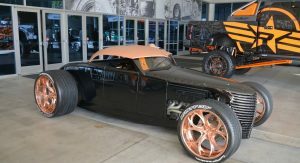 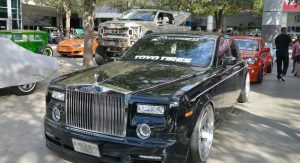 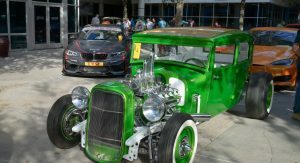 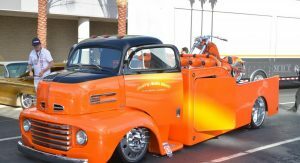 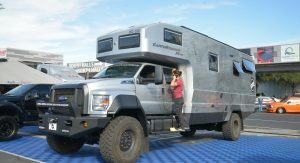 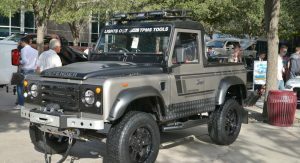 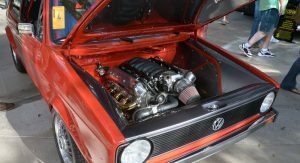 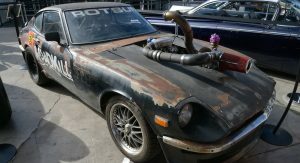 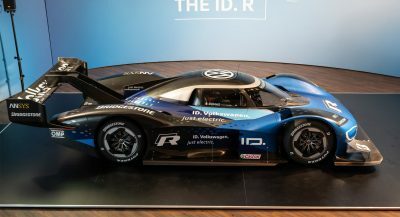 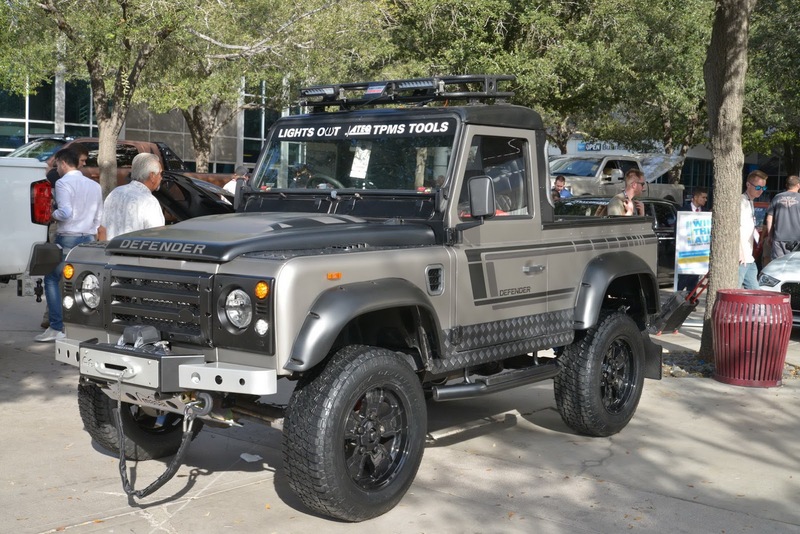 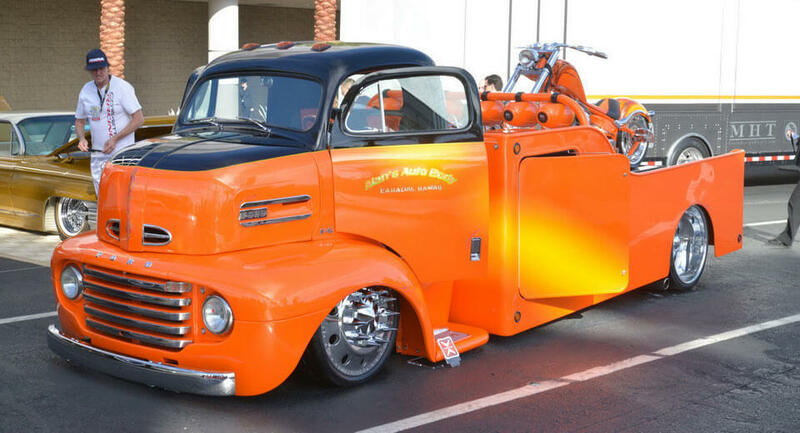 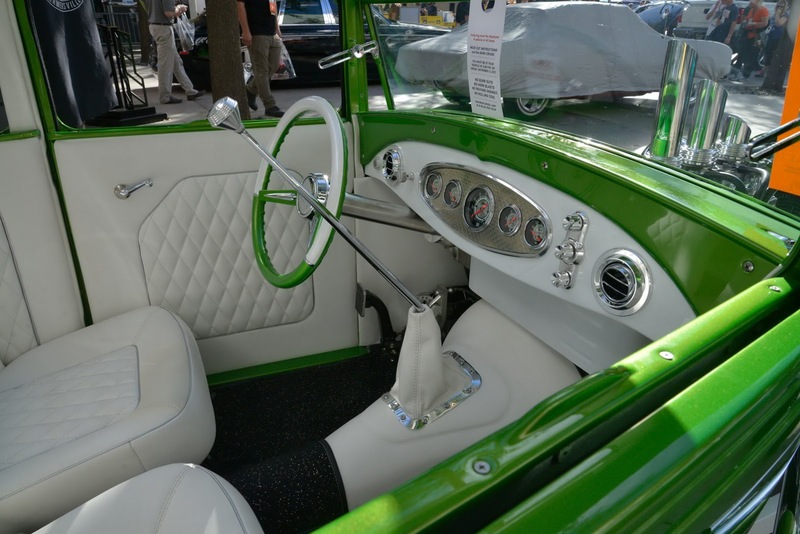 In that sense, it seems that 2017 is no different than 2016, when we saw just about every type of road-going machine you can imagine, from custom supercars to small assault vehicles, semi-monster trucks and plenty of extreme-looking classics. 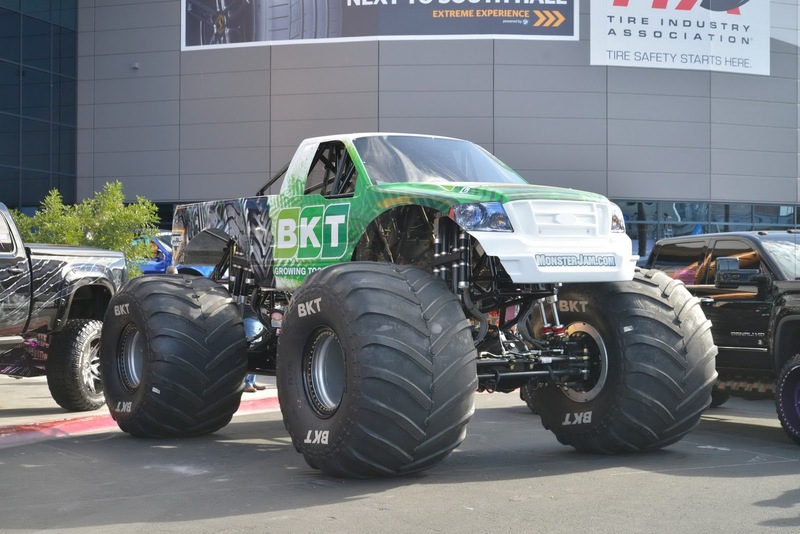 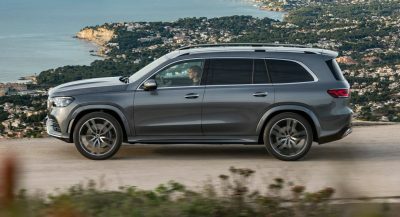 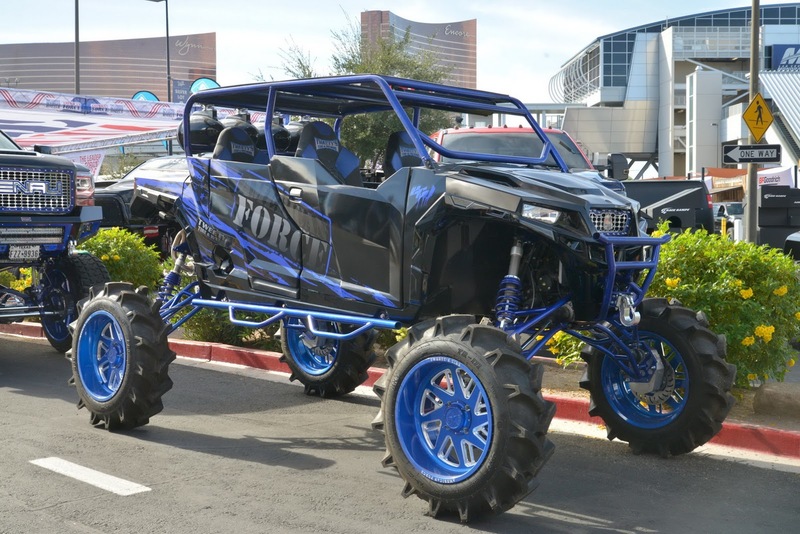 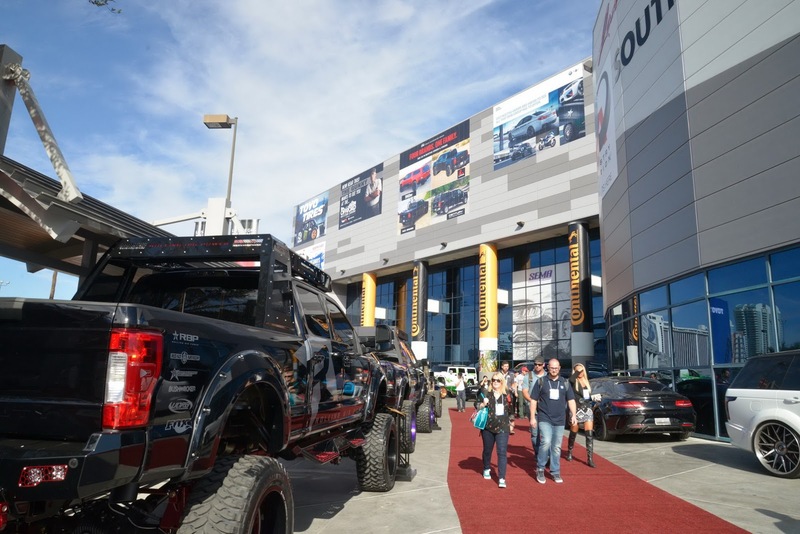 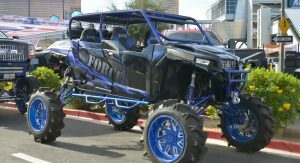 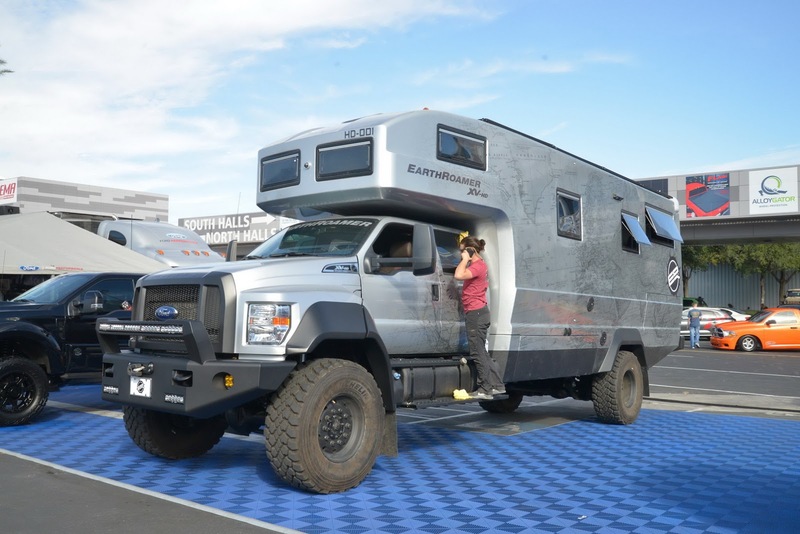 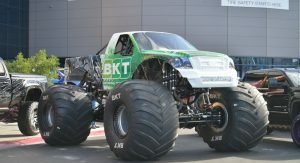 This year, we can’t help but stare yet again, especially at all the off-road vehicles, or the tuned Bimmers, which seem to be quite popular in Vegas – not a lot of Audis and Mercs though. 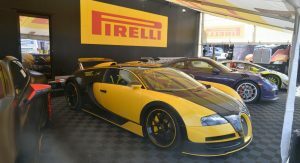 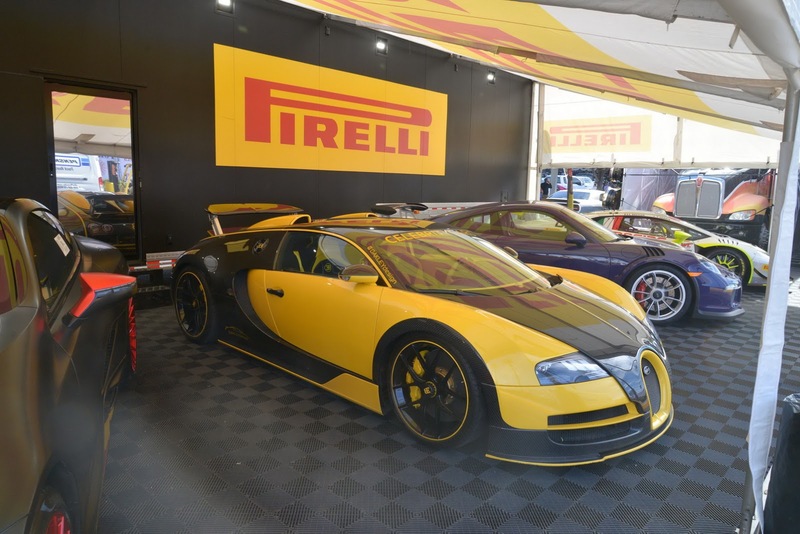 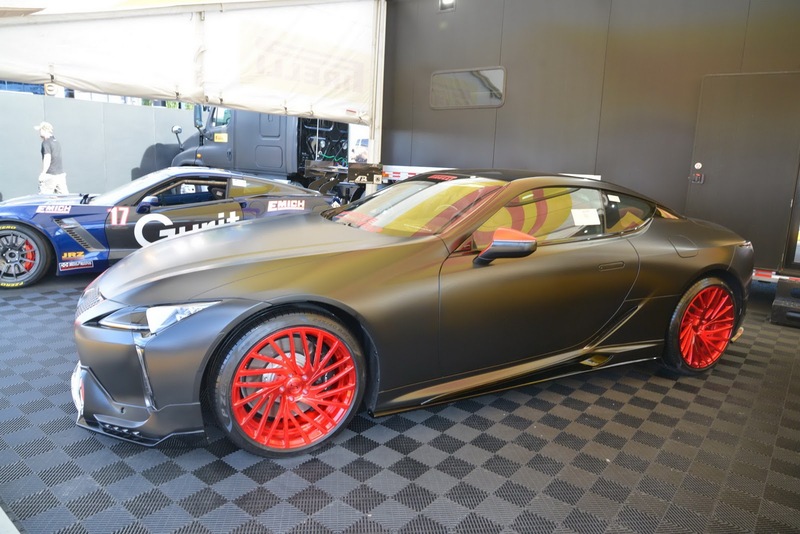 Moving on, visiting stands like Forgiato’s or Pirelli’s means supercars galore, especially at Pirelli where the tire manufacturer even brought the one of a kind 2016 Bugatti Veyron Oakley Design, featuring a restyled aero kit, among many other mods. 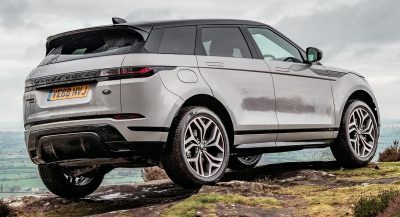 It’s basically a coach-built car at this point. 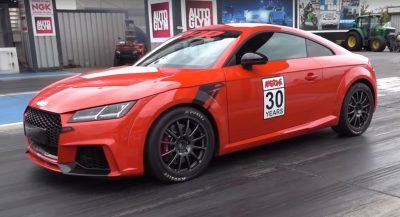 As for power, 1,145 HP and 1,500 Nm of torque are what’s happening. 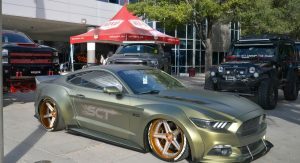 We’re also big fans of that Widebody Mustang S550, built by designer Robbie Bryant with some help from SCT Performance, but we’re also curious which of these cars has peaked your interest. 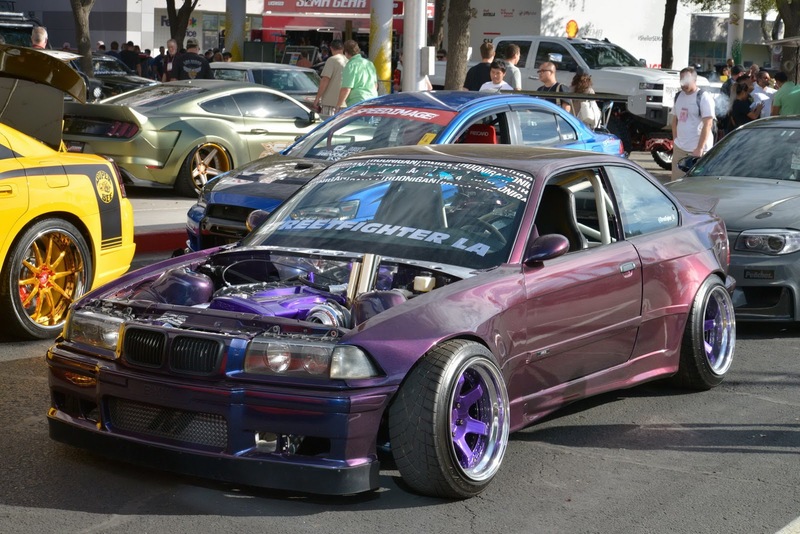 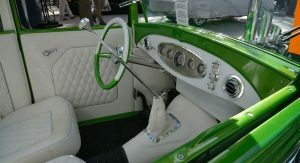 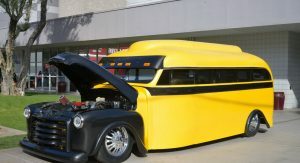 So check out the gallery and sound off! 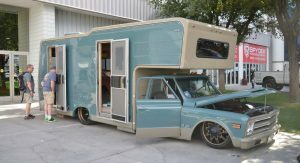 Probably the coolest thing I saw for a while. 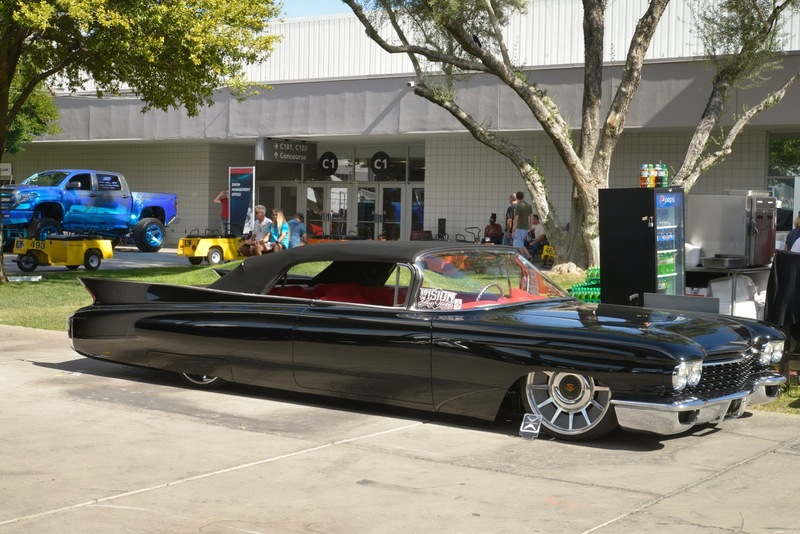 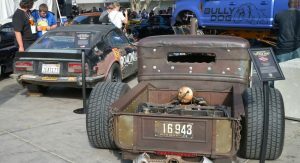 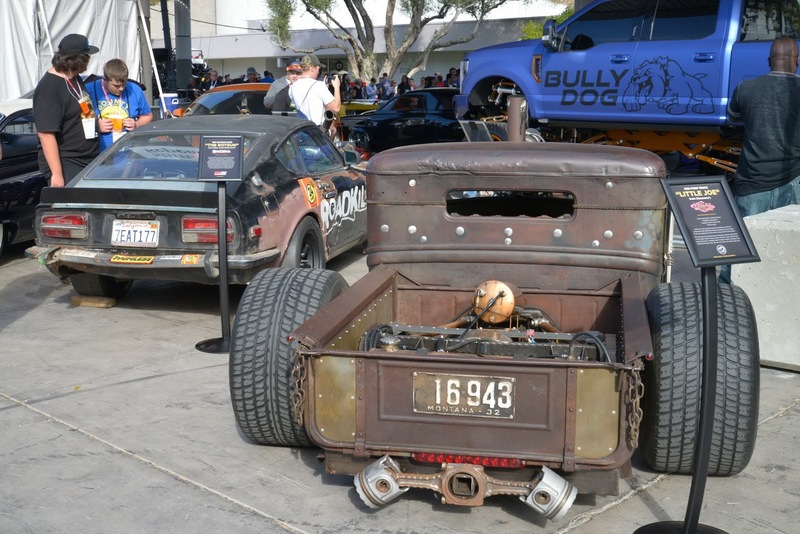 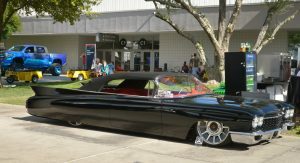 The black hot rod with those 2.5ft wide rear tires and the slammed old Cadillac are both gorgeous.